This piece is from a Barbara Olson workshop held in Des Moines. The bottom spiral is reversed in direction and color. 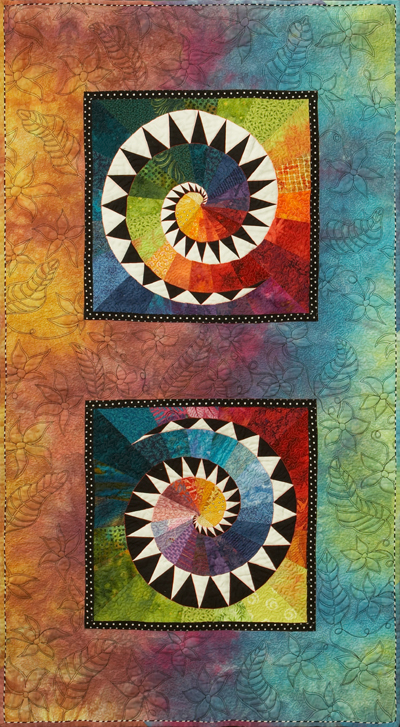 Both spirals were placed on the dyed background. Black/white fabric was fused, cut diagonally, ironed over the edge, and machine zigzagged. Background behind the spirals is then cutaway. Decorative quilting used in the background. 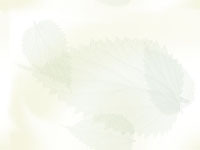 By inserting this way, the background remains seamless.